Cups of tea, Big Ben and God save the Queen. 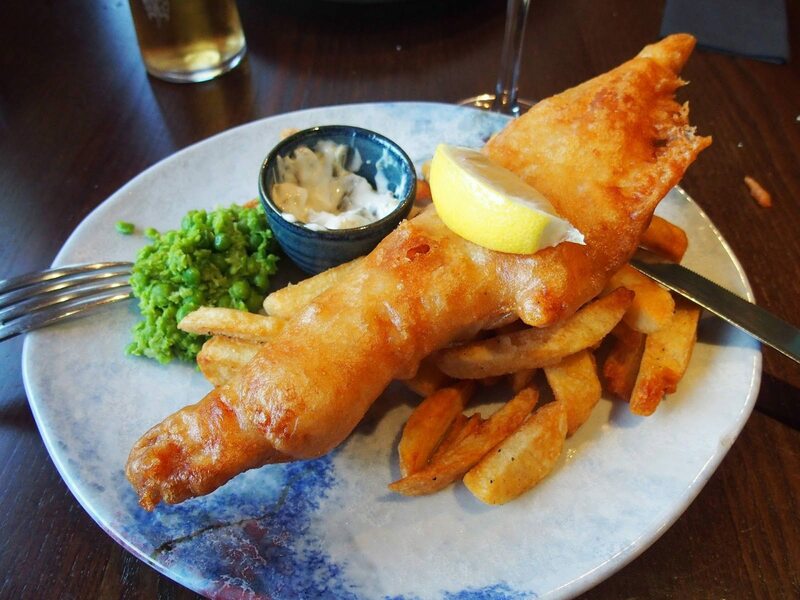 Fish and Chips are just as synonymous with British Culture and St Ives is lucky enough to play host to some of the best eateries around. A quintessential dish so good you have to guard it with your life from shifty pinching fingers and the occasional brash swooping seagull. Here’s the lowdown on where to find the best fish and chips in St Ives and its surroundings, from the no frills fryer to the artisanal dishes served on plates rather than paper. “Our aim is to provide delicious food with a friendly service” state this well established fish and chip shop, run by Stephen and Benny. It’s not in the most idyllic of places but the good news is that you’re a short walk away from the seafront so park up here, get your order and wander down for a alfresco meal. You’ll see locals and well informed visitors alike tucking into proper traditional fare. Opening times are Tuesday – Friday 11:45am -1:30pm /4:45pm – 8:00pm. Saturday 4:45pm – 8pm. Closed Sunday and Monday. Run by Rob and Louise and their skilled team, they are proud to say that they only use fish from sustainable sources and the best quality potatoes around; they even make their very own tartare sauce. 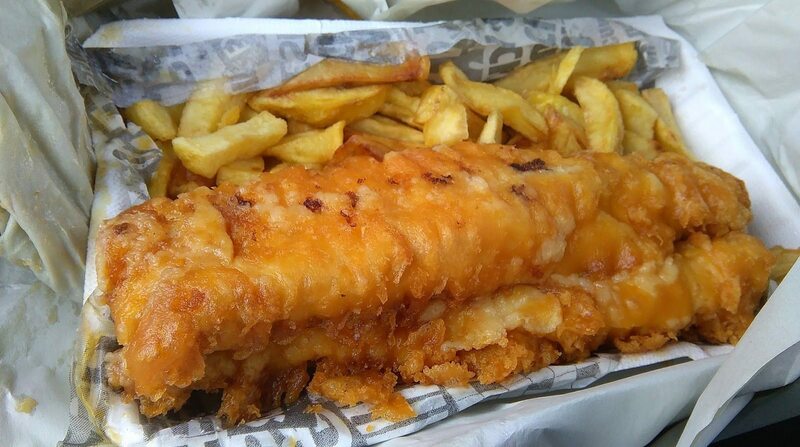 Customers say “By far the best fish and chips I’ve ever had”. There is an extensive menu, including vegetarian options. Peckish is located in Victoria Road, Camelford and open Tuesday to Saturday from 12 noon- 1:30 pm and 5 pm to 9 pm. 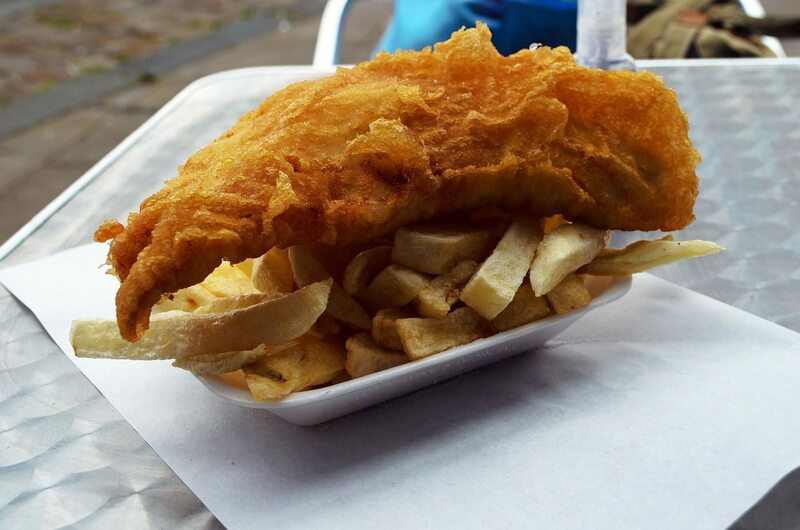 This fish and chip shop is both a takeaway and restaurant and probably the most famous in Cornwall due to Rick Stein being a familiar face on TV and notable British Chef personality. You can rely on the fish being fresh, often landed in Padstow and in fact and there is a good variety of other seafood on the menu too, including hake, plaice, haddock and lemon sole as well as the traditional cod. They make their own mushy peas, curry sauce and tartare sauce plus they cater for gluten free diets too. They don’t take bookings for the restaurant so get there early to guarantee a table. Opening times, restaurant and takeaway, are: Monday-Sunday 11:30 am – 3 pm. Thursday, Friday and Saturday is 5 pm – 8:30 pm. Award winning Fish and Chips from a father and son duo. Eat in or takeaway the choice is yours. All food is freshly cooked using only the best produce. Fish available includes cod, haddock, plaice, and rock salmon all from sustainable sources. Save room for ice cream. Lunchtime opening is: Restaurant: 12 pm – 1:45 pm. Takeaway: 12 pm – 2 pm. Evening opening: Monday to Thursday. Restaurant: 4:45 pm- 8 pm. Takeaway: Take Away 12 pm – 2 pm. Friday and Saturday – Restaurant: 4:45 pm – 8:30pm. Takeaway: 4:45 pm – 8:30 pm. “Fish and chips is in the DNA of being British”, says Harbour Lights who were crowned “Independent Fish and Chip Restaurant of the year 2017”. There is always a variety of Cornish fish on their menu as well as best sellers: cod and haddock. The chips are award winning, too, and cooked in rapeseed and palm oil using only the finest Cornish potatoes. We think a queue out the door is always a good sign and if the restaurant area is full take a stroll down the adjoining road to the harbour and dangle your legs over the side. It can’t get better than this. Family owned, fresh and deliciously fried. What more could you want? How about an extensive menu, restaurant setting and a fully licensed bar? Okay ample parking, deserts and this food coma inducing portion policy, ‘our regular is your large’. Situated in Carbis Bay next to the HQ of the Roam Surf School (could be a good post paddle meal perhaps? ), Beck’s has a cult following which may explain if you have to wait ten or so minutes to be seated. We think this is a great sign of good food so be patient. They don’t just stop at the traditional Fish and Chips either, Goan curries, steaks and they even cater for Coeliacs too. So there you have it, precious information shared; the only thing you have to decide now is tomato sauce or mayonnaise. Don’t forget to check out our handpicked selection of St Ives cottages.